Did everyone have a nice Father's Day weekend? Mr. B & I have both lost our fathers in recent years and we don't share any children so, it was just a normal weekend for us. We did get out of our rut box though. We went and saw a movie, 22 Jump Street, which we both totally enjoyed, and we found a new to us craft brewery really close to our home and fell in love with the decor, brews on tap and the owners. We will be going back for sure. 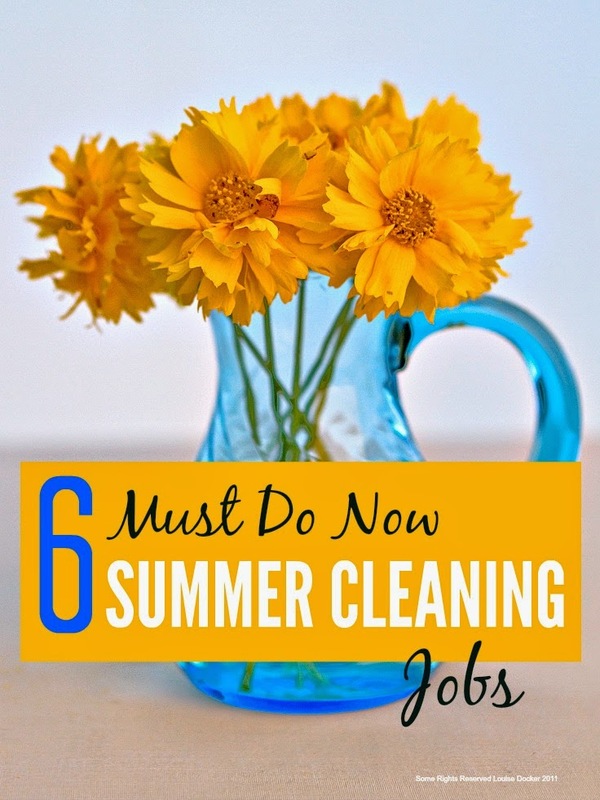 Alice compiled a short, but terrific, list of her top 6 Summer Cleaning Jobs to do now. Please grab yourself an I've Been Featured button Alice, you deserve it! Now, show us what you have been up to since we last met up here! be sure to follow me there too! As always, you don't have to be a follower in order to link up. I'm going to try your summer cleaning advise because I have too many irons in the fire and need some help. Thanks for hosting! Hi Kathe, the movie looks like it will be funny and always fun to try a new craft brewery! Sounds like you had a fun weekend. Thanks for the party and enjoy your week. I have been tempted to go to that movie after watching the trailer. I love Jonah Hill. Whoo Hoo!! I'm here partying!! Thanks for a great party! Have a wonderful week. Thanks for the party, Kathe!! Sorry about the loss of your fathers. My father has been gone for 14 years and my husband's father for several, too, so I understand. Thank you for hosting. I am so happy to be joining you this time, Kathe! Thanks for Youre Gonna Love it Tuesday Kathe. I had a guest writer this week so my contribution was the photos. Kathe, thanks for the party!! Thanks for hosting.. What a great party. I'm late (again!!) .... but I made it! :) Thanks so much for hosting, Kathe! Another latecomer here! Thanks for hosting Kathe! I'm here...late but, here! Thanks for the party Kathe! Sounds like lot of fun you guys had there. awesome. keep up the good work.